the WANDAS are an American rock band based out of Boston Massachusetts composed of Keith McEachern, Brent Battey, Ross Lucivero, William Bierce and Greg Settino. Where do I begin? I think the most logical place is to start at South By Southwest 2010, last year. We had just come off of almost a full year of touring the U.S. on New Wave Blues. We had played the songs inside and out at nearly 200 shows and came into SXSW expecting nothing except that we could play our set blindfolded and hanging upside down at this point. SXSW 2010 was a huge success for us. Having the opportunity to perform for industry pros across the world and reuniting with friends we'd made around the country touring; you couldn't ask for a better time. Oh yeah, the free beer wasn't too shabby either. Fast forward 1 full year later. We had spent the last 12 months writing & recording our new album. The timeline was so tight that we actually picked up our masters of the new album from our producer Patrick Krief in Austin,TX because he was in town with his band The Dears. We were thrilled to be invited to perform at CMW in Toronto Ontario this year. Canadian Music Week takes place the week leading up to SXSW Music Festival in Austin, TX. It's a good way to catch up and coming acts from around the world, along with some legendary music figures mixed in. We figured that since we'd be heading to 80 degree weather in Austin, TX for a week, that we might as well head to Canada just to get in a little more cold weather; us New Englanders are gluttons for punishment. We were in Toronto for about 3 days and got to perform at a famous Toronto venue called Cherry Cola's Rock N' Rolla Cabaret. 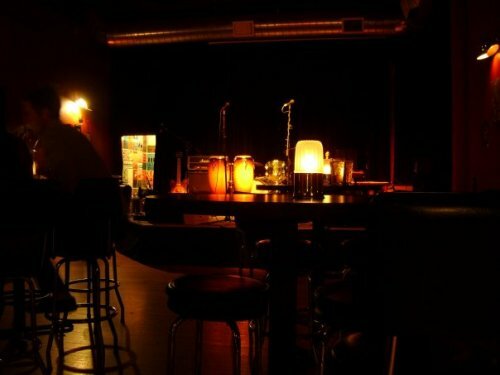 The venue is laid out in a dark red velvet atmosphere and a cozy stage that has held many surprise shows by bigger acts like Them Crooked Vultures and The Eagles of Death Metal. The combination of the smaller venue mixed with the CMW energy kept a line filled with music lovers and industry pros, out the door the whole night. After being cooped up in the RV for a couple days of straight rain (yes our RV leaks when it rains) it was great to take the stage and play to an eager crowd and some old friends from the Toronto based band The Danger Bees. After spending many months cooped up in practice space working on new material, it was time to dust off the RV and take a mini tour to New York City for the week of the CMJ Music Marathon. Most commonly described as a smaller/Northeast version of Texas'South By Southwest, CMJ Music Marathon is a week of some of the best up and coming and established acts from around the world that gather in NYC for a week of shows, industry panels, and rock and roll debauchery. Our week was anchored around our showcase at the Bowery Poetry Club on Friday evening. The night was extra special because also on the bill was one of our favorite Boston bands; The Honors. Aside from putting on a stellar set (as usual) The Honors came to our rescue when Brandon (singer/guitarist of The Honors) offered up his semi-hollow body axe to Keith mid-set after Keith broke a string. Thanks to Brandon's rock n roll instincts and lightening fast reaction time, our set didn't miss a beat. The show was a great success. The venue was packed with eager concert goers looking to discover some new music along with some of our loyal NYC fans. Also in the audience, our pal Hilary Hughes from the Boston-based publication The Weekly Dig who we haven't completely annoyed yet, because she still pops up at our shows across the country. "I go to Wandas shows knowing that I’ll get a consistently superlative set" - Hilary Hughes, The Weekly Dig. The theme of the week seemed to be friendship. Even in a city with 9 million people, within an hour of picking up our badges, we bumped into our buddies Ezra Huleatt (singer of Black Taxi) and comedian Ben Kronberg somewhere between Greenwich Village and The Lower East Side. Aside from the pleasant surprises we also went to see some of our favorite Boston groups, Mean Creek, McAlister Drive and Bodega Girls; all putting on great sets. The week couldn't have come to a better climax when we saw back to back sets of our pals from the Montreal outfit The High Dials and NYC's own Akudama. A great ending to a great week. As we were winding down our tour we landed in another city we've never played before; Buffalo, NY. We arrived early to the gig so we took a stroll around town. The area was filled with cool shops and friendly locals. It reminded me a bit of Newport, RI and Cape Cod, MA. The venue we were playing at was a very nice restaurant / bar called Merge which regularly features live music & comedy shows. The venue was an intimate setting so we decided to try out a simplified version of our set using acoustic guitars and a modified percussion setup. The result was very fun for us. We got to really connect with the audience and play different versions of our songs for the first time. After the show we stayed local as we were heading to 90.5 WBER in Rochester, NY for a radio show the next day. It was only fitting that the DJ who invited us to the station goes by the name Boston Erik; us Bostonians need to stick together! We had a great time hanging out at the station, answering questions and playing a couple acoustic tunes. Of course we can't forget our favorite part of doing any radio show; recording station ID voice overs. For this one we gave our best over the top Boston accent in honah of Bahstahn Erik. We've got a big weekend coming up back in New England with us playing the 95.5 WBRU Summer Concert Series in Providence RI and then back in Boston at Tommy Doyle's. After we enjoyed our extended stay in Chicago we began our trek back towards the east coast. First stop on the way, a quaint college town in Michigan that goes by the name of Kalamazoo. The venue vibe was very fitting for the night; a mix of indie rock and old school country. The night featured a couple of bluegrass acts and ourselves. It's been great hearing some different styles of music on this tour. It was especially nice in Kalamazoo because we love country and bluegrass music. After the show we had our longest drive of the tour; a solid 8 hours to Buffalo, NY so we did a few hours at night and got up early today to continue on our way. Tonight we are at Merge in Buffalo, NY. See you there! On the road there are some cities you always know are going to a great time; Chicago is one of them. I don't know if it's the deep dish pizza, the breeze off of the Great Lakes, or the ghost of Muddy Waters but there is something in the air that always makes Chicago fun place to be. 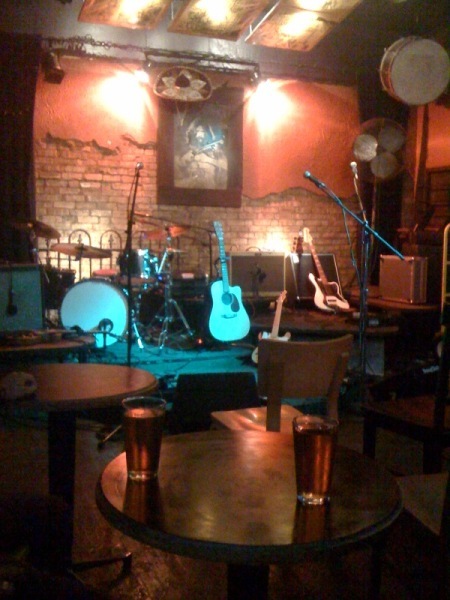 We had our show at the Elbo Room; the same place we performed last time we were in town. The Elbo Room really is a fun place to play. It's two floors of music with the rock club in the basement. It has an excellent vibe with amazing sound, lights, and of course the quintessential rock n roll product; the fog machine. The night couldn't have been more fun. We had a mix of new fans, old friends, and even one of our favorite Boston music reporters; Hilary Hughes was in town and at the show. I think setting the record for most distance traveled by a non-family member for our shows; Boston, Austin, and now Chicago. We had a whirlwind of a time after the show traveling through the city with a pack of people made up of performers, friends, and fans who gathered throughout the course of the evening. We ended up closing down some hole in the wall pub that had to be packed 2 times over capacity; followed by diner-breakfast and briskly walking back to the RV in order get to bed before the sun comes up and turns the RV into a sauna. Luckily we always seem to schedule a day off in Chicago to recuperate and enjoy the city. Now I'm off to hit up our favorite taco joint in the country for the 3rd time this trip. Prior to touring my knowledge of Cincinnati was limited to Pete Rose and the Cincinnati Reds. Well I can't say I've learned too much more about the city but I can say we had a good time and it was fun seeing a new place. One of the highlights was pulling up the RV right next to the club where there was an awesome record store. Record stores have been a dying breed for some time now; so it's always cool to find a new one, especially one that is embraced by the local community and still thriving. 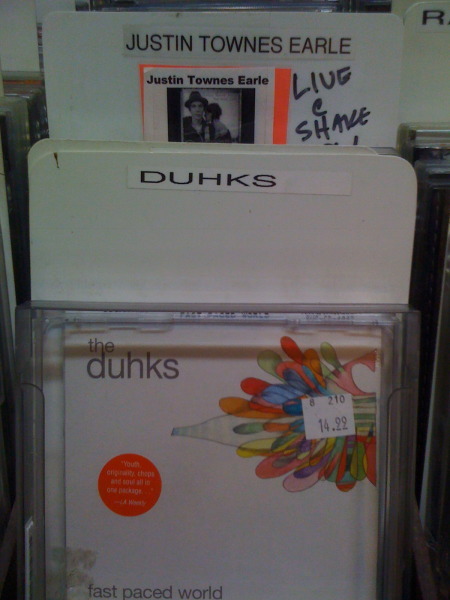 I knew it was a good sign when I walked in and the first CD's I saw were of artists who we played two of our favorite shows with: Justin Townes Earle (in Worcester, MA) and The Duhks (in Atlanta, GA). Brent picked up some tunes by Dylan, The Pink Fairies, and Lou Reed. Albeit it was Lou Reed's Metal Machine Music which was purchased primarily for comedic purposes to annoy us while we were driving in the RV. The show was in a dingy rock and roll tavern; needless to say we felt right at home. Keith caught up with an old friend who has since moved to the midwest and a good time was had by all. Next up was the Vollrath Tavern in Indianapolis, IN. Last U.S. tour this was our second to last stop and by the time we finished up I was so burnt out that I don't think I ever got to write about our time in Indy. The bar we played at is famous for being one of John Dillinger's hangouts/underground getaways from the police during his heyday. The owner gave us a tour of the basement (which the locals say is haunted) and it did not disappoint in it's creepiness. Getting back to last tour; the bar had completely cleared out towards the end of the night when a group of people came into the bar. Keith and Brent decided to put on a private acoustic show for them; seeing they missed the night's earlier festivities. We ended up keeping in touch and they came back to see the full band this time. It's always fun to see familiar faces especially when you're on the road. It gives you a feeling of community; even when you're a long way from home. Adding to the mix was a good friend of mine from college who has since moved to Indy as well. Talk about a trooper; this guy donated blood right before the show, drank Narragansett beer with us all night and had to wake up at 6am for work; definitely a true UMASS alum. The show was a blast. 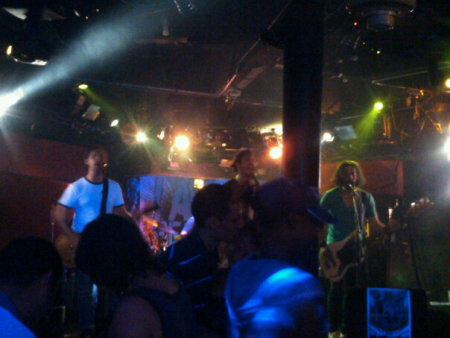 We shared the stage with some great local acts and another awesome band called Humdrum from St. Louis, MO. Tonight we're headed to one of our favorite cities to play, Chicago, IL! After we got some sweet relief from the heat via the Jersey shore, we made our way down to Philadelphia, PA. We played a fun little neighborhood bar where we got to see some old friends who came out to the show and some of the guys from the Philly-based band El Fuego stopped by as well. Philly never seems to disappoint. Up next was our home away from home; Bank Shots in Newark Delaware. 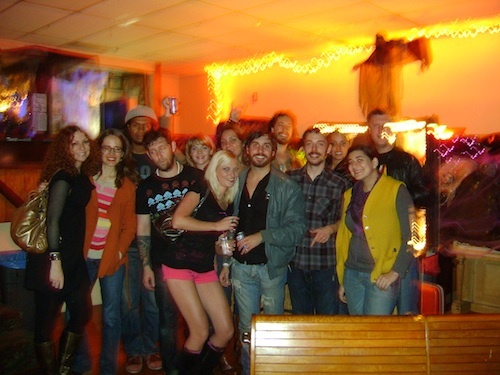 For those of you who have followed our tour blog may know that we first landed in Bank Shots by luck when a Pittsburgh show fell through on our first East Coast tour. The guys from the band, Drunk Unkle let us jump on their bill at Bank Shots and we have been best buds ever since. Now it's our 3rd time back and each time has been rowdier than the last. Along with helping us out with sound and promoting the night for us the guys from Drunk Unkle also caught wind that it was Keith's birthday. 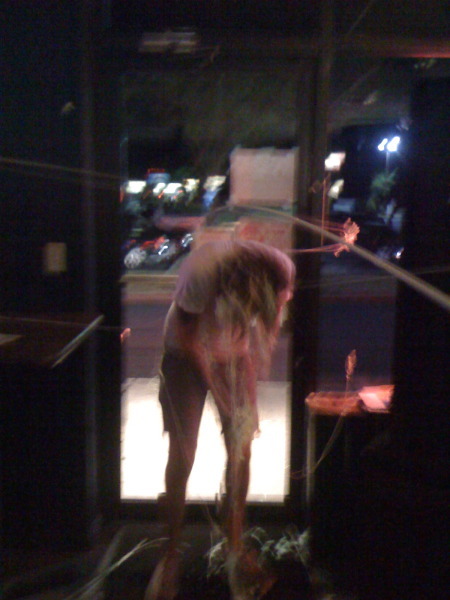 In conjunction with an array of free shots and 2 birthday cakes the real surprise came at the end of our second set when the Delaware guys conspired with myself, Brent and Will to attack Keith with a barrage of silly string. It was definitely one of Keith's more memorable birthdays (maybe not for him thanks to the double shots) and one of our most eventful shows. We can't thank the guys from Delaware enough; they're just awesome all around. We're making our way to Cleveland to visit some friends on our day off. I don't think I'll be wearing my Lebron jersey this trip! It's hard to believe we're back on the road again already. After getting home from SXSW in Austin, TX at the beginning of April the last couple months just blew by. We had a jammed packed schedule in the Northeast which kept us busy. Our tour got off to a bang playing to the hometown region in Providence, RI and Boston, MA. Being on the road really makes us appreciate the hometown fans more and more. It's great to be able to play to such a receptive and loyal audience. We really can't tell you how much we appreciate it. 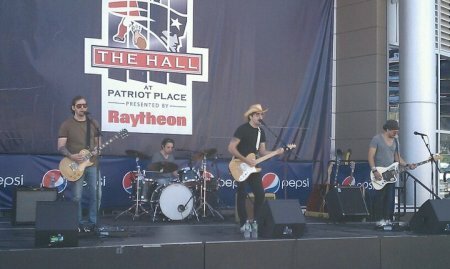 After playing the Middle East in Boston, MA we played a 4th of July celebration held at Gillette Stadium. Not only was the show held on a beautiful afternoon celebrating our Nation's birthday but it also set our own personal record for least time between back to back shows. We finished up in Boston around 3am and were up and ready to head to Gillette Stadium in Foxboro, MA at 7am; rock n roll. The next day we headed to New York City to play Pianos; a great bar in the Lower East Side. The show was extra fun because our buddies from The Highway got added on as a last minute edition to the bill; so it was great to play with them in NYC after sharing the stage with them, two days earlier in Boston. Oh yeah, did I mention we're touring in the middle of a massive heat wave. Temperatures hit 107 degrees fahrenheit in NYC; a mere 100 degree difference from our last tour which brought us to New York at a balmy 7 degrees. Last time we had no heat, this time we have no AC. Keith enjoying one of the cooler moments in NYC on the bus. After NY we headed south into more heat, however at least we were heading to the Jersey Shore where we could get a bit of a breeze. We played a fun show with some great bands in Red Bank, NJ. Thanks again to Against The Tide for inviting us to play the evening. We had the next day off so it was a no brainer where we were going; the beach! Luckily we had a friend in the Jersey Shore who invited us to her home where we could go swimming and enjoy some air conditioning. We even lucked out and landed free tickets to see Sting with the New York Philharmonic on our night off. It's great to have friends across the country! Tonight it's on to Philly. The temperature has dropped significantly. It's now an icy 90 degrees. theWANDAS Live Recording at Ralph's - Huge Success! We want to thank everyone who made last Saturday's live video & audio recording at Ralph's in Worcester, MA such a giant success. The venue was sold out and by far the most packed I've ever seen the place. It was great seeing so many enthusiastic fans in one place. From what I've briefly seen, the video looks great. The film crew did a bang up job. We can't wait to share the end product with you. It's going to a take a bit to sort through and edit down so bear with us; hopefully it will be worth the wait. Thanks again for Ralph's and their great staff for letting us have our run of the place for the night; we couldn't have done it without their help. Thanks to Hard No. 9 and Matt Benoit for sharing the night with us and putting on great performances. Here's an article in the Worcester Magazine that ran, leading up to the event. 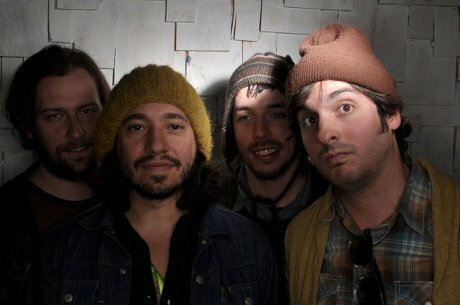 theWANDAS are the 2010 95.5 WBRU Rock Hunt Champions! We are pleased to announce that out of the couple hundred bands who submitted to the 95.5 WBRU Rock Hunt, there is one who can claim the title of the last band standing; theWANDAS! The journey through the semifinals in Fall River, MA to the Finals at Lupo's Heartbreak Hotel in Providence, RI was nothing short of amazing. We got to see/meet so many awesome bands in the New England area. Our sincerest tip of the cap to the other finalists who shared the stage with us; Keep Me Conscious, Santa Mamba, and You Scream I Scream. These 3 bands put on spectacular sets and could not have been nicer people. Anyone of these groups could have taken the crown, but the Rock Gods smiled on us that night. Thanks to everyone who has been following the progression and made it out to the shows. The energy at the finals was really breathtaking and we couldn't appreciate it more. If you live in the New England area or just want to stream it online, tune into 95.5 WBRU because you'll be hearing a lot more of theWANDAS on there! When we threw our hat into the ring for the 95.5 WBRU Rock Hunt two months ago we didn't give the event much thought. We were on tour somewhere around North Carolina at the time and when we looked at the schedule, we realized we already had shows on 4/5 of the potential Rock Hunt dates. Assuming that the Rock Gods would sort out the potential scheduling conflicts for us we went ahead on our merry way. When we got the call that we were chosen as 1 of 12 semifinalist out of a couple hundred submissions, we were flattered but figured we'd have to pass because there is no way we could shift around our existing gigs. Well, we lucked out and were selected for the one night we didn't already have a show. On Saturday night we took the stage for the semifinals after 2 other great young bands finished playing; The Intel & Fighting The Influence. At the end of the night the judges (made up of 4 record label representatives) chose theWANDAS as the band to advance. So what's next? Less than 1 week after Wilco will be taking the stage at Lupo's Heartbreak Hotel in Providence, RI, we will be following suit. 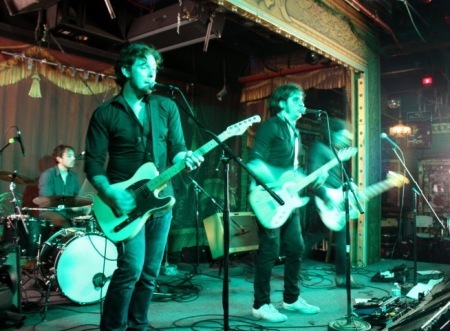 Along with us will be 3 other excellent New England band's all seeking the title of the 2010 95.5 WBRU Rock Hunt Winner. We'll see you April 10th! So we made it through South By Southwest in one piece. We had two more killer shows. 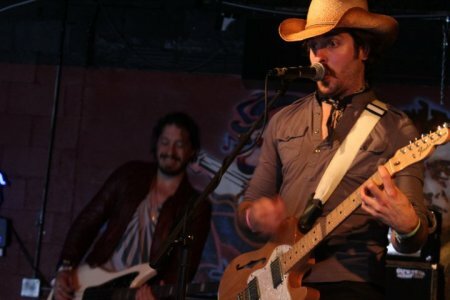 The first being Electric Western and Teaparty Boston showcase. This was especially cool for us because we were able to represent our awesome hometown publication; Teaparty Boston. Our last show (the 4th of the week) was the Red Gorilla / I love Music Gear showcase. This show meant a lot to us as well as we met the owner (Tony Love) of I Love Music Gear on the road at a show in Dallas, TX and have been in touch ever since. It's great when you can meet people on the road and maintain life long friendships. The great thing about SXSW is that so many of the bands we've played with around the country all migrate to Austin to perform. On one day I saw 5 bands we've played with from Georgia over the past year, alone. Never mind throughout the entire week: there are too many bands to mention! We've got a busy schedule coming up for everyone back North. You can always check our Tour Page for up to date listings. After 2 months of being on the road we've settled back into our native home of Boston, MA. We're floating around between family, friends, couch surfing, and the RV (of course), but we're sticking in the Northeast for the time being. The tour was nothing short of amazing. We're still decompressing and taking in everything that happened on the road. So many great venues, bands, fans, stories, oh and that amazing taco place in Chicago that we ate 3 meals a day at for 3 days straight; those sound pretty good right about now. We've already played 2 shows in Rhode Island since we've been back and have a bunch more to go. We'll be at Ralph's in Worcester, MA this Saturday Dec 5th and then our triumphant return (it's been over 4 years since we've played here) to the Middle East in Cambridge, MA Mon Dec 14th for the Invictus Booking Holiday Jam. After that we'll be back at Tommy Doyles January 8th in Cambridge, MA and then our first show ever on Cape Cod at Tommy Doyle's other location in Hyannis. We're filling in shows faster than we can list them so certainly check the tour page frequently. Heading out of Minneapolis to Chicago we had a 6-7 hour drive which seemed like a hop skip and a jump compared to what we had just done coming from Seattle to Minneapolis. Rolling into town we were definitely pumped to be playing a great city like Chicago; especially on a Saturday night when the place is hopping. We were playing The Elbo Room, a great venue with two floors; bands were playing downstairs and there were bars on each level. The night was packed with 5 bands starting at 8:30pm and ending at 2:30am. We were headlining so we weren't taking the stage until about 1:15am which gave us plenty of time to relax, grab some food and take in the city a bit before we played. 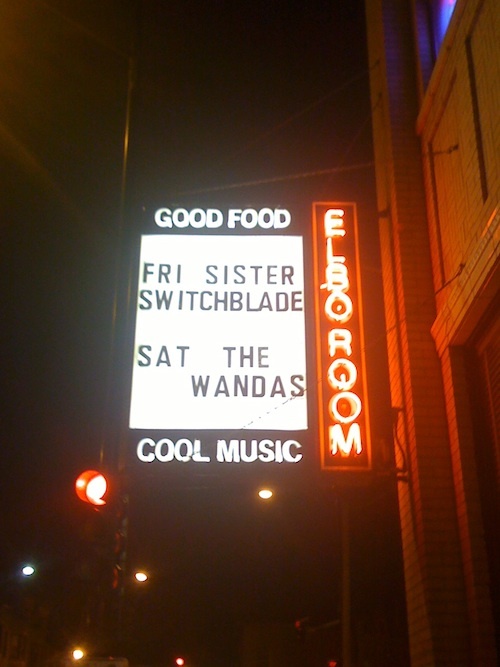 theWANDAS at The Elbo Room, Chicago ILThe show went really well and was broadcasted live online. I know it was a late night, but those who saw it said they really enjoyed it; which was great to hear. After the show we hung out with the venue staff until the last person left the bar. Everyone at the venue is great and needless to say we'll be back at The Elbo Room next leg of the tour. Where to begin.... I apologize for being off the map for a bit but I have a good excuse. When we left Seattle we headed east for the biggest drive of the tour. Seattle, WA to Minneapolis, MN is a 26 hour drive (in a car) plus a 2 hour loss with the timezone change; add in the fact we're driving a 27ft vehicle and stopping for gas every 4 hours we're looking at a 30 hour drive minimum. About 10 hours into our drive we hit the one thing we were desperatly trying to avoid the whole tour: SNOW. After being in the Pacific Ocean 1 week earlier in sunny San Diego this was a wakeup call to how far we've actually been traveling. We found ourselves in the mountains of Montana traveling 10-25 mph through a snow storm for 8 hours. Needless to say this wasn't helping our arrival time in Minnesota. There was a healthy balance between fearing for our lives as we watched countless cars/trucks, which were much more equipped to travel in the snow & ice, swerve off the road into ditches and guardrails, and the sheer humor of the locals' collective facial expression of "are you seriously driving a 27 ft rv through Montana in a snow storm? What the hell are you thinking?" After Keith successfully took us through the snow storm (with Brent navigating) and we made our way out of the mountains, Will and I took over the driving & navigating duties respectively. After having such an amazing run in California, it was hard to imagine what Portland, OR would bring. This was the furthest northwest, any of us have ever traveled. The trip from San Francisco, CA to Portland, OR was lovely; rolling mountains, wildlife, the great outdoors. When we arrived at Kelly's Olympian in Portland we were continuing on our hot streak of great parking spots and snagged one big enough for the bus right in front of the club. 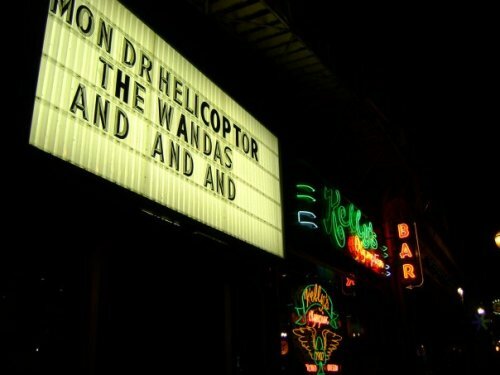 After looking up, we saw our name on the marquee; another positive because you know we're actually playing at the venue. Kelly's Olympian - Portland, OR. I could be mistaken but with the bar being established in 1902, this was the oldest bar we've ever played at. The place had lively fluorescent signage and a great live room complete with high ceilings and sound dampeners on the walls. We were sandwiched in between two other awesome Portland acts; Dr. Helicopter and And, And, And (that's 3 'ands' for you following at home, sorry if my writing is confusing). They were nice enough to let us share the night with them and put us in front of a great crowd. The night wasn't only great for a monday night; it was great for any night. Now on to Seattle, WA! After a great time in San Diego, we headed north to the city of angels. The balmy weather of the west coast had all of us in a great mood. Knowing that we're avoiding some of the northeast's colder months brings a slight smile to all of our faces while driving up the left coast. We arrived at Mr. T's Bowl in LA, an old bowling alley that had been converted into a live music venue. The place is a legendary venue with over 40 years of music passing through there. The night was organized with 5 bands each playing a 30 minute set. The shorter set length keeps the night moving and the crowd interested in seeing new music. We assembled a 6 song set and did our best to rock out. It continues to be a great trip because we're meeting so many new fans and seeing old friends who have since moved around the country. 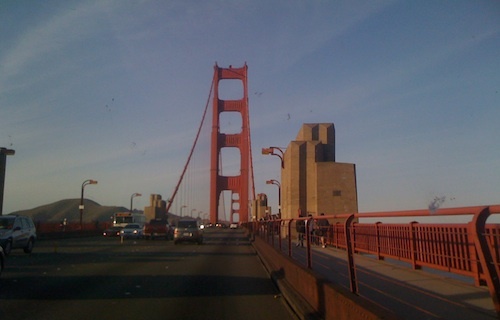 Onward and up the coast to San Francisco. We drove for about an hour the night after the LA show to beat the traffic the next morning. We had a solid 6 or 7 hour drive to San Francisco. We arrived in front of Thee Parkside in San Francisco around 6pm giving us plenty of time to unwind before the show. We ate a quick meal in the bus and did our pre-show vocal warmups. This show was especially fun for several reasons. We were playing a great venue, we had a bunch of old friends at the show (and my parents), we were playing with some great bands; Cannons and Clouds, Low Red Land, and our buddies from Boston, Ketman; it was the makings of a great night. After the show we spent the night hanging out with old friends and meeting new people. Yesterday we started to make our way to Portland, OR as we had the day off and about a 10+ hour drive. We stopped at Mt. 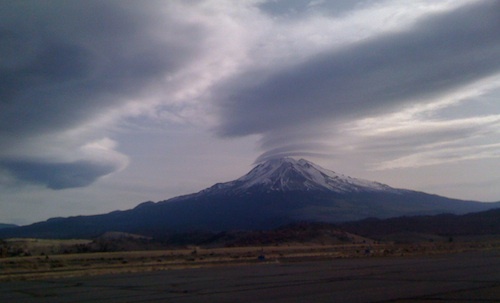 Shasta, a little less than halfway to Portland. We're playing at Kelly's Olympian on Portland Oregon tonight. We'll see you there! Ok, I know it's been a while, and last you read we were on our way to Vegas. Well, I'm happy to report we're all in one piece. We didn't hit it big or lose it all. I won a little money the first night playing Blackjack, which helped fund our time there; which was an unexpected treat. When we arrived we got a great hookup because our producer Patrick Krief's brother Steph lives in Henderson, NV and owns several stores on the Las Vegas strip. As a result he was able to let us park behind his store behind the Harley Davidson cafe' right on the strip. This was huge for us because we had the experience of living on the strip with out spending any money. We met up with Steph and Patrick and caught up on band stuff, life, etc. It was halloween and there were definitely some great costumes and just an overall heightened level of enthusiasm; if that's even possible in Vegas. 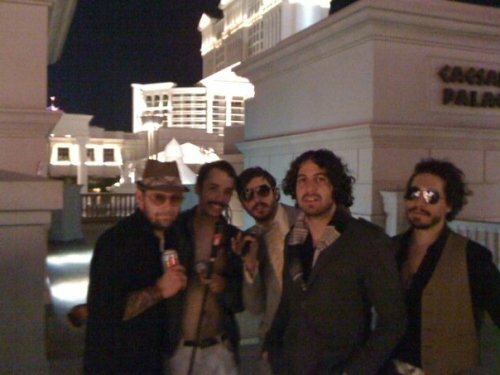 Keith came prepared and brought his vegas lounge singer tux for a costume. With Will bearing a remarkable resemblance to Freddy Mercury we pieced together a costume direct from Freddy's wardrobe circa 1984. Brent and I were struggling for ideas. I threw together a mix which I claimed was Pablo Escobar; although I don't think anyone recognized me. We all agreed Brent looked like a New Orleans trumpet player and that was that. After vegas we headed to San Diego a couple days early. We decided to pull right up to Pacific Beach and park the bus. We found a sweet parking spot and were beach bums for a couple days. The amount of places we have been able to stay free of charge is probably rivaling a $20,000 vacation at this point. The beach was lovely. 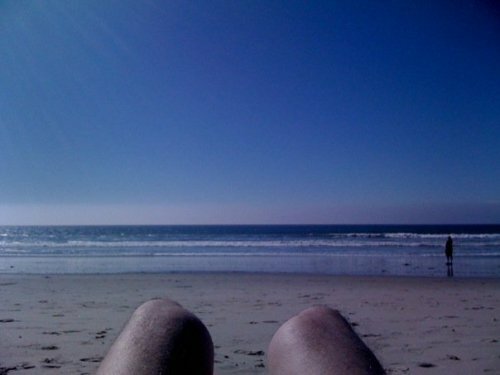 Sunny, blue skies, big waves, fish tacos and margaritas... ahh the good life. Last night was our first show back after a brief break while on the road. The night was extra special for me as my parents decided to take a tour of the west coast themselves and make it to a few of our shows while they're out here. We were playing a the Ruby Room. This place was awesome. It had a great vibe and sound system. The all (ruby) red decor was reminiscent of a 70's lounge. The staff and ownership were amazing. They were extremely hospitable with everything from letting us park the bus right out front to complimentary drinks. The show was great. Several old friends of ours who had relocated to San Diego came out to the show and it felt great to get back up on stage. After the show we hung out with new & old friends on the bus in our sweet parking spot. We woke up this morning and headed to LA. Looking forward to another great show tonight! Last night was awesome. We got to do something we rarely get to do anymore; play at a house party. We rolled into Philadelphia, PA around 7pm right in the heart of Temple University. The area is considered one of the more dicey part of towns, but everyone was nothing but friendly during our time there. To draw a comparison to Boston, it reminded me a lot of Mission Hill being next to Northeastern University. The party was a full blown rager 4 Kegs and 200+ people. After talking to the guys who lived there, all Temple students, this is part of their weekly income. There were 3 bands playing including us; both of the other bands were excellent and made the evening a real blast. It's funny how once you turn 21 years old, you always think of yourself as in that age range. Well, when you're hanging out with 18 year olds you start to realizing you're not a young buck anymore. The night was very inspiring. Meeting a bunch of great kids all eager to hear new underground music, really gives you a boost 10 days into being on the road. The show itself was unique for us. Will wasn't using his sequencer because of the PA setup and Brent's amp blew out during the first song. While people were tracking down a replacement amp, we played some songs as a 3 piece; a very stripped down performance; but rockin' nonetheless. We hung out into the wee hours of the morning with our new friends from the city of brotherly love and once again made our home on the street we performed on. After being woken up a few times from the rambunctious locals who had already jumped into the Budweiser at 8am and were knocking on our RV asking us if we were "open for business" or going to "pay rent" for parking on the street; all in good fun of course. We decided to make our way into our home away from home; Wal Mart and start the day.